Modeling in Google SketchUp is easy, because its not directly about the creation of objects such as Autodesk 3DSMax program, the program SketchUp to model the drawing of lines, and after the creation of a suare for example the area inside the added, later there is texture inserted. SketchUp has many features to facilitate work in modeling. There are so many that they are not even enumerated. Interesting example is the possibility of components, objects that are repeated, such as balconies on apartment buildings, thanks to this feature there is no need to do every balcony seperately, and while the adjustment of one object all the other objects are ajusting simultaneously. 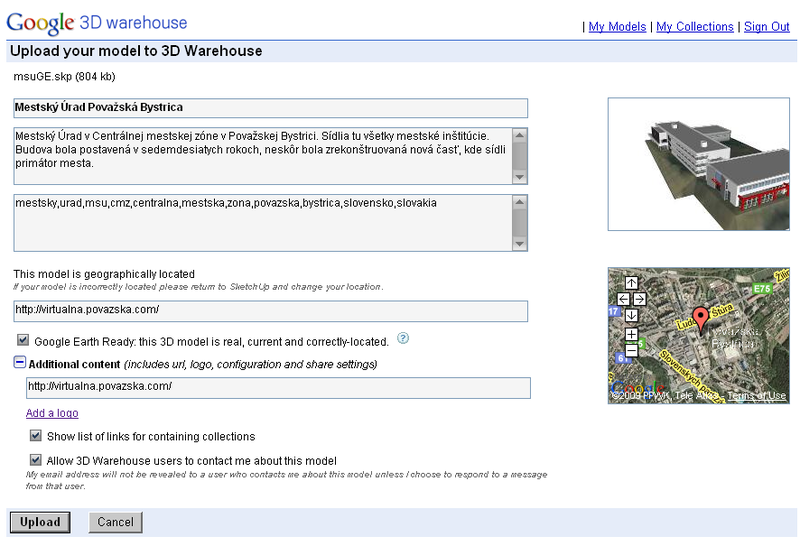 After creating the model correct structuring and assesment of location and the correct hight through the post-Tools Google Earth (first Get current view first, then Toggle Terrain) model can then be uploaded to the database objects 3D Warehouse. Here are details on the model prints after a short time the page will generate a 3D preview site and download the file to Google Earth. 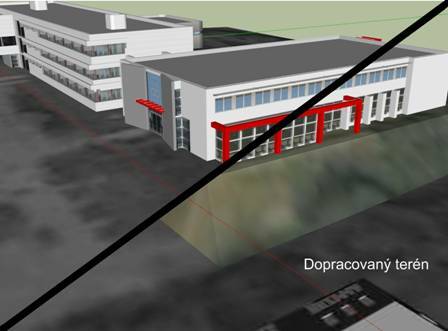 If you have created a building located in Povazska Bystrica, just contact us via e-mail virtualna@povazska.com, and we will add the building to the database on this site and also to the collection Povazska Bystrica at 3D Warehouse. If you have trouble completing the model, or other questions, just write to us. The procedure for creating the model. 1. 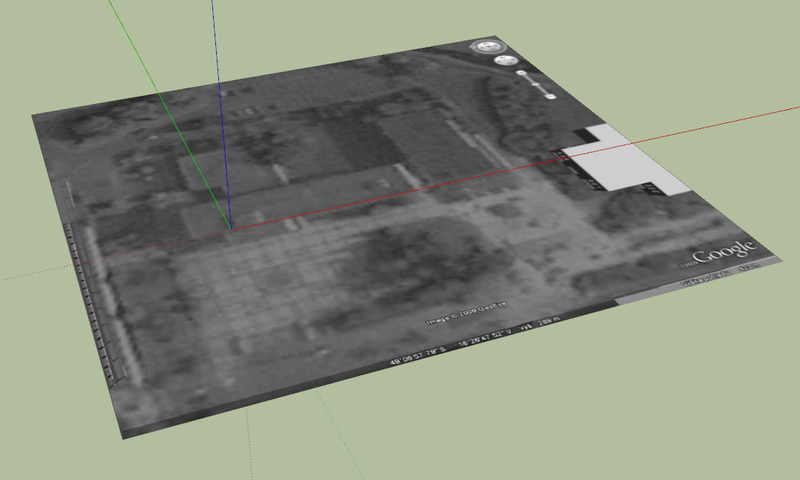 Getting the terrain into SketchUp. - Launch program Google Earth, set the view of the building (from a distance to see clearly the building). - the top menu, select Tools - Google Earth and click Get Current View. - After a while black & white photo in 1:1 scale will load into the file,whilst creating model it fits that the picture is flat, but before completion of the model you need to open terrain (Tools - Google Earth and click Toggle Terrain), and move or finish model so that it doesnt cross over or raise above the ground..
- Modeling itself is not easily explained, everyone uses different methods for modeling, but I recommend beginners to look video tutorials (link in the text above or in Links). Important! It is necessary that before recording the model to the 3DWarehouse was textured (dyed), each outer wall. White / Purple - a primer is not a texture, so even white colored walls should be white. - Finish off the above-mentioned finalization of the terrain, where applicable, also complete the terrain (this option is more complicated, but there is also the possibility video tutorials on YouTube). - Make sure that the model is completed, there are no missing walls or texture. 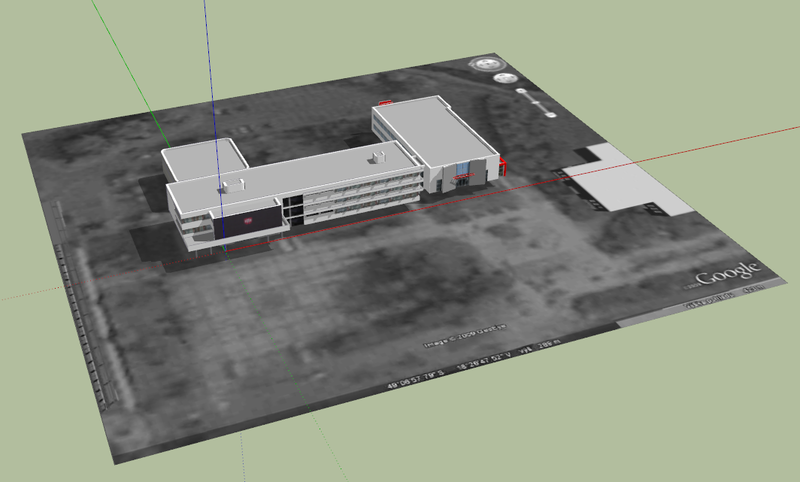 - Recording is switched on the File menu - 3DWarehouse - Share model. - Enter the login information to Google (you must have a created Google account-GMail / YouTube, etc.). - Processing model may take a while, depending on the complexity of the model of computer or internet speed. - out the required information and click on Upload. - After recording a model for Internet do not delete neither alter the name of the file (*. skp) as long as the file remains unchanged, after repeating you can only update the model already loaded, otherwise there would be created new file during recording, and so would have duplicated files 3DWarehouse . Not recommend repeatedly erased and re-record models,the statistics about visits,savings, deposit collections, will be erased. If you have trouble completing the model, or other questions, just write to virtualna@povazska.com.